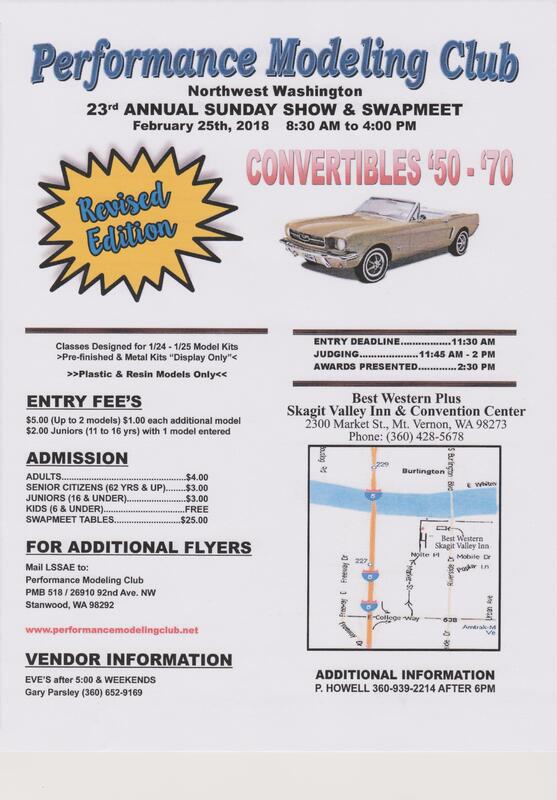 The Performance Modeling Club started its first Model Show in Sedro-Woolley, Washington back in 1996. For the following two years the Club continued to hold their shows at the Sedro-Woolley Senior Center. By 1998 the shows had outgrown the Senior Center and moved to the new location at the Best Western Plus / Skagit Valley Inn & Convention Center in Mt. Vernon, Washington. Our annual Model Show and Swap Meet attracts the young and old alike. Everyone enjoys the models which come from near and far. 2007 marked our first year with a model being started in Sweden and finished here just prior to our show. 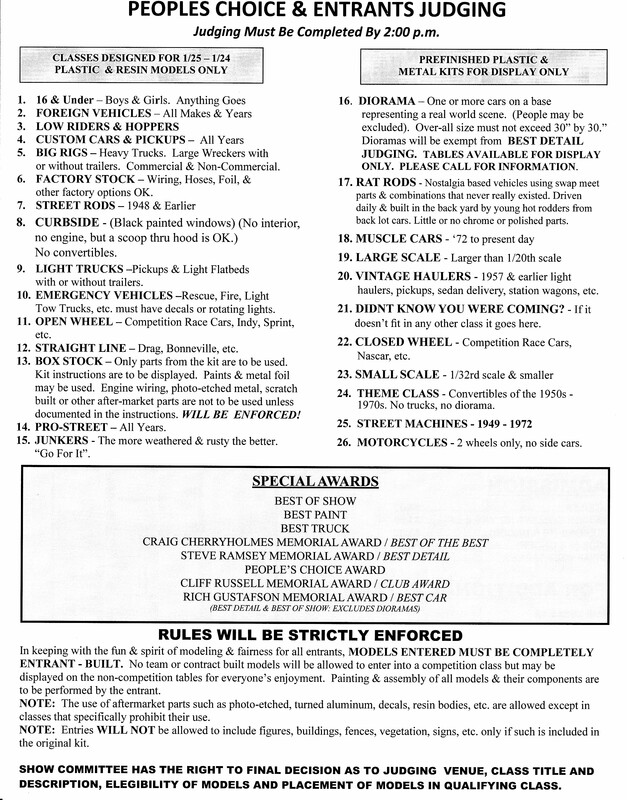 Below are the Model Show Entry, Parking Ticket, and Photo Tech Sheet forms in PDF format. If you need a PDF reader you can download a free version of Foxit Reader from the site shown at the bottom of the page.